If you're in the market for your own personal Pick-N-Pull paradise, might we direct you to this most unusual real estate listing courtesy of our friendly neighbors to the north. 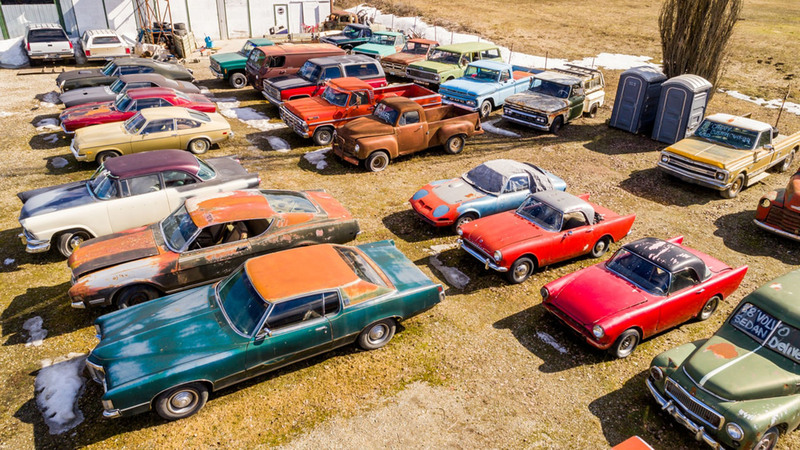 A man in British Columbia has decided to sell his combination salvage business and storage property that features more than 340 vintage cars and a 900-square-foot restoration shop. The whole thing can be yours for just over $1 million at current exchange rates—and while the years and quality range from solid runners from the sixties and seventies to older rusted hulks, it's clear from the pictures you'd probably be getting a hell of a deal. 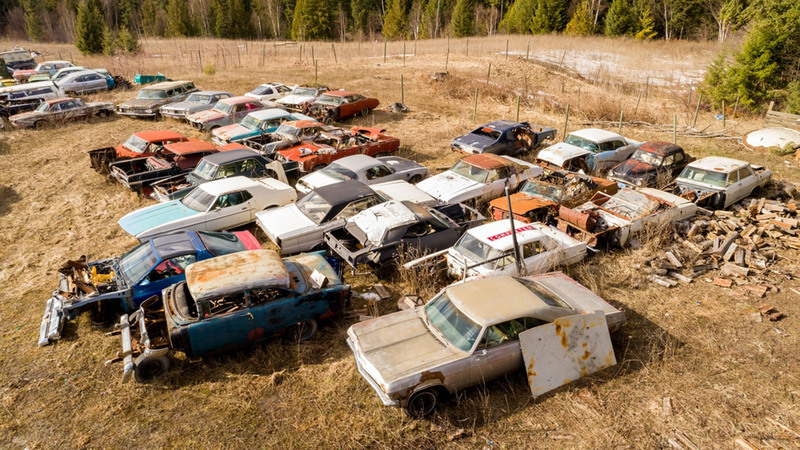 Mike Hall tells Driving.ca he's been collecting cars for over forty years, purchasing this property to store them after his wife protested at the number of old Dodges and Fords piling up at their nearby organic farm. He travels a lot for his work as a rock scaler, giving him an opportunity to scout out old interesting hunks of metal all across the province. He does sell some of them online, but he talks like a man who's realized he's just got too many projects on his plate, admitting he "won't live long enough to restore these cars." 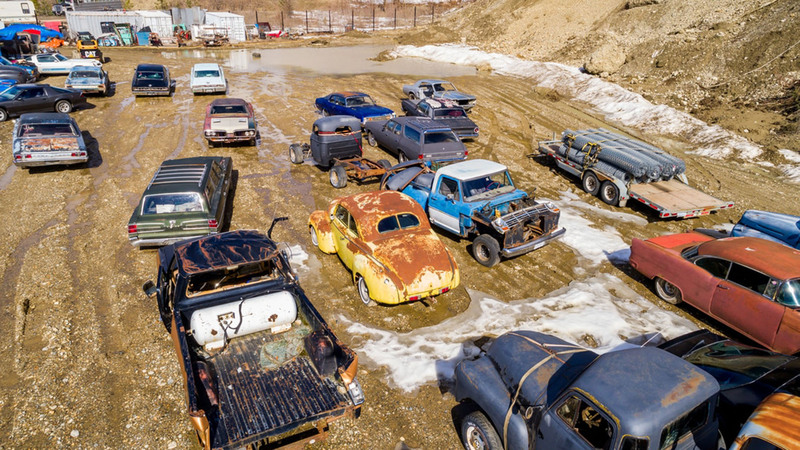 There are almost too many things to look at in the pictures—a row of Bel Air wagons here, a Jeep FC there, an Edsel in the corner, rows and rows of vintage Mopars, an old Volvo PV—and Hall himself isn't even sure of the extent of the collection. He pegs each individual car's value between $500 and $35,000 CAD, but there are undoubtedly some gems in there. 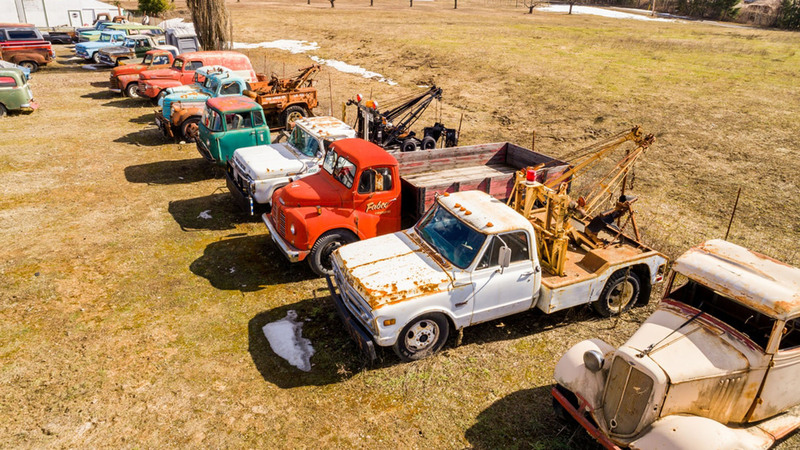 Remember, the property also comes with its own stocked repair shop, plus an extra 1,200 square foot outbuilding that can be expanded to create the ultimate wrenching setup. The property is zoned for auto salvage and located near the White Post Auto Museum, so you can expect friendly neighbors. In fact, the real estate agent is banking on finding someone who is looking for their own personal rust-ic getaway. "It is about a lifetime opportunity to spend time doing what people like: restoring vintage cars and living in one of the most beautiful parts of B.C. That value is more than the asking price," Hudson Purbo told Driving.ca. Wait a little on that offer and you might get a few new classics out of it - Hall adds that he can't seem to stop buying cars even with the listing posted, saying it's "like a sickness" that he just can't shake. One of just 227 built, this homologation special rarity Porsche can join your collection today, as long as you're Canadian.